•	Organising exhibitions, installations, workshops or product presentations? •	Opening your design or architectural bureau to public? •	Organizing something innovative and exciting? 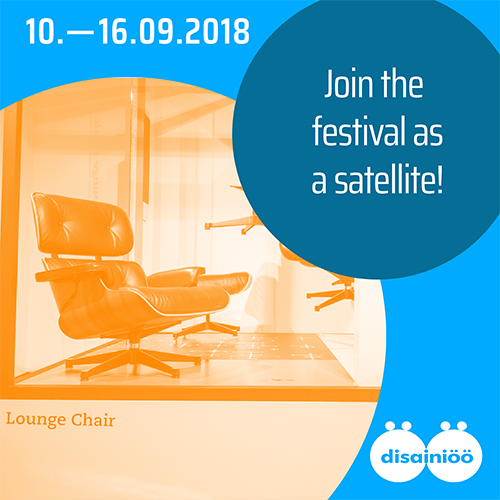 If YES, come and join the festival as a satellite! *most of the satellites will leave the sticker at the window for several years to catch the eye of the people interested in design. We prefer the photographic material (please do not send logos or graphic images based on text and avoid square format).